﻿ 2010 - Where did it go? Time went so fast the year seemed to speed by! Home » Family » Wow…where did 2010 go??!! I totally missed 2010 on my blog!!! I did say I probably wouldn’t keep it up and guess what….I know myself well!! So here I am, in February 2011 trying to think of any significant events of 2010 that I need to add here for the children to read about when they’re older. Hmmm, it seems that it was a pretty uneventful year in our family, which isn’t a bad thing. The 2 previous years had seen Ant admitted to hospital with a heart attack and me admitted to hospital with a blood clot in my leg and multiple clots in my lungs. We’re both quite well now, although Ant has to keep taking the tablets. 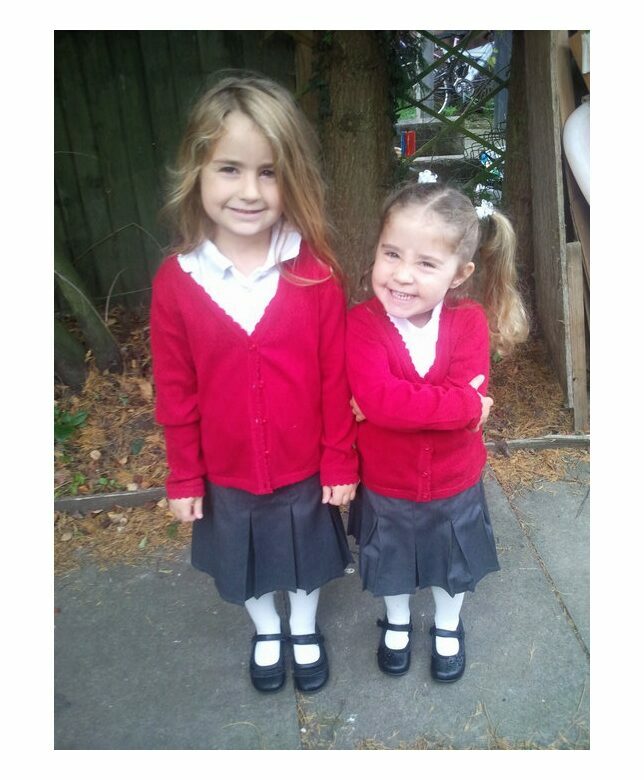 The biggest thing to happen in little Ella’s life was starting nursery. She started in September with KayCee who was starting year one. Ella goes on a Monday and Tuesday from 8:45 am to 2:45 pm while KayCee goes from 9 am to 3:15 pm. The time difference is a little annoying, but we only have a few more months to go and then she’ll be going into Reception which is the same start and end times as KayCee. Ella still goes to Papermoon Day Nursery on a Friday. She loves it there and we’ll be quite sad when she finishes for good in the summer. KayCee started there in 2006 when she was around one-year-old and we’ve always felt extremely happy and comfortable with the level of service they provide. You get a feeling from the staff that your child is very special and important to them. As a parent, this is exactly what you need, especially when you’re feeling overwhelming guilt for leaving them there in the first place while you go to work. Our little Ella brings laughter and happiness into our lives on a daily basis. Her smile is contagious. It doesn’t matter what kind of day you’re having, she only has to smile and you find yourself smiling back! She’s fallen in love with reading! She had started to learn to read in Reception, but it wasn’t until she started in Year One that she really grasped how to do it. Now, she’s constantly reading, writing and asking how you spell different words. She does gymnastics after school on a Thursday and is working towards her level 5 certificate. She complains about having to go but when the time comes to renew at the end of each term, she always wants to carry on going, even when we tell her that it’s her choice and she doesn’t have to go if she doesn’t want to! I suspect she’s going to be one of those people who like to finish what they start and I think she’ll carry on with gymnastics next year so she can get to her level 1 certificate and badge. She’s very grown up for her age and we are often amazed at the things she knows and understands. She’s always been older than her years and in some ways, that’s not such a good thing! We often expect things from her that she’s not yet capable of and we have to remind ourselves that she’s only 5 and not 15! She’s an absolute treasure and we’re very proud of her. Last but not least, we move on to Aiden. He was 10 last year and had a pizza and movie party for his birthday. He invited some friends from school and Ant sorted the food out while I watched a DVD with the girls upstairs. I’d been ill for a few days and was too ill to go downstairs so missed his party. He had a great time and I’m sure he preferred time alone with his friends without his mum hanging around! He’s doing brilliantly in school and got an excellent report last year. We were very proud of him. He’ll be starting secondary school in September and I truly can’t believe how fast time is going. I watched a home video of him from when he was about 3 and it brought tears to my eyes. He was so cute and even though I’m loving seeing him grow and mature, I miss my cute little boy. We went to Haven at Skegness for a week during October half term and stayed in a lovely caravan. The kids had a great time going swimming and playing in the indoor play area. They also loved the arcades, just as I did when I was young! Aiden was at his Dad’s for Christmas and we fetched him back on Boxing Day. Christmas is my favourite time of year and I loved it. I’m cherishing Christmases while my children are young because it’s such a magical time for them. I love seeing Ella jumping up and down with excitement and hearing KayCee saying that it’s the best Christmas ever! I look forward to visiting family for tea on Boxing Day and having family round to ours on Christmas Day. I love getting the trolley out that used to belong to my Grandmother then to my Mum and now to me, and filling it with goodies. I think that the only thing I don’t look forward to is taking the decorations down because that means I’ve got to wait another year to put them back up! So, that was 2010 in a nutshell. We’re all one year older, one year wiser and still happy and content with our wonderful family.